Data produced by AMP reflect the everyday experience and perceptions of neighborhoods by youth down to the sub-block scale. AMP Camps are designed to motivate action based on these data. Participants in AMP Camp include local youth, neighborhood residents, professional placemakers, architects, engineers, construction firms, and key agencies and stakeholders. 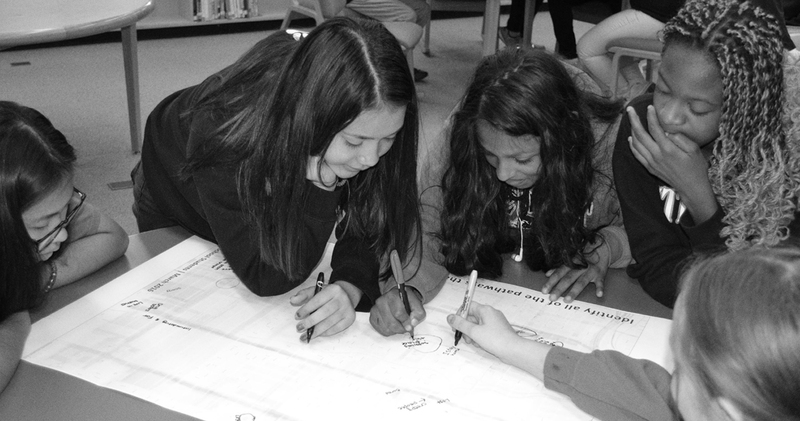 The AMP Camp process is collaborative, participatory, and action-oriented. Through a series of three public meetings neighborhood residents are engaged by placemakers to participate in the conceptualization of an improvement project, collaborate on the design of the project, and to work together to enact the project plan. Project plans completed at AMP Camp are expected to be fully functional permit drawings complete with project cost and budget. In cases where possible, AMP and project partners endeavor to provide funding to complete projects designed at AMP Camp. The 2019 AMP Camp is currently seeking support from agencies, placemakers, and professionals interested to participate in planning and design meetings for South and/or East Tacoma in summer 2019. For more information, please contact Dr. Matt Kelley.